MASERATI Quattroporte. You sound wealthy just by saying the name. Yet the brand's flagship sedan isn't as exclusive as you may think, with the current generation having shifted an impressive 24,000 units across 72 countries in the past three and a half years. A success story indeed, but there's no harm in a little refresh to ensure the well-heeled return to their local Maserati dealerships with open wallets. 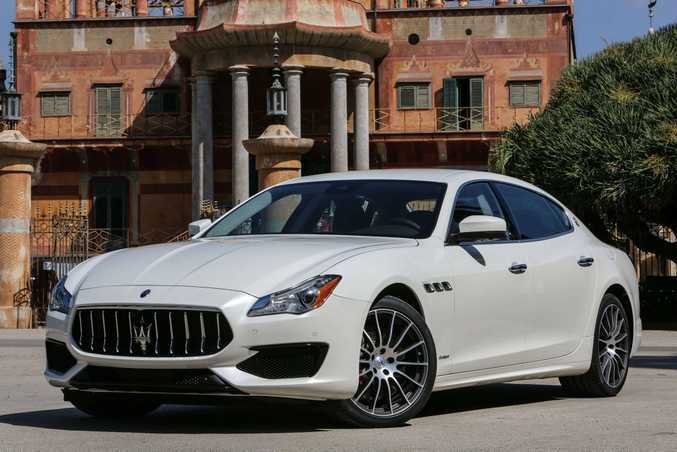 For the 2017 model year the Quattroporte receives new exterior styling, interior refinements including a new infotainment system and advanced driver assistance goodies. There are also two new trim options - GranLusso and GranSport - the former for those with a preference for uber luxury, the latter for those embracing the sporty heritage of the trident badge. 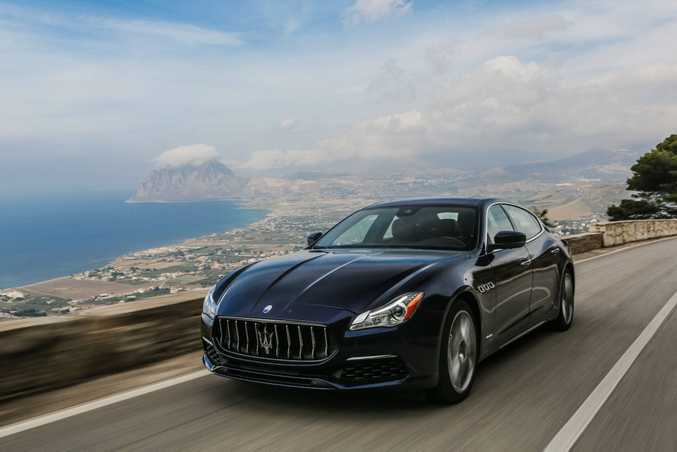 Entry price into the Quattroporte family stays at $210,000 for the 202kW 3.0-litre V6 diesel before on-roads, while your range topper is the ballistic 390kW 3.8-litre twin-turbocharged V8 GTS model in GranLusso trim for $349,990 before charges. The new cars feature revised bumpers and side skirts with matte black trim and a re-worked front grille to mirror the new Levante SUV model's. Inside there's been a redesign of the central part of the dashboard, it now featuring an integrated 8.4-inch screen, a new lower console with rotary knob for volume and function control, and a new infotainment system compatible with both Apple CarPlay and Android Auto. Even the wealthy like to seamlessly access their playlist and Spotify, you know. The real bragging rights come with those trim packs though. 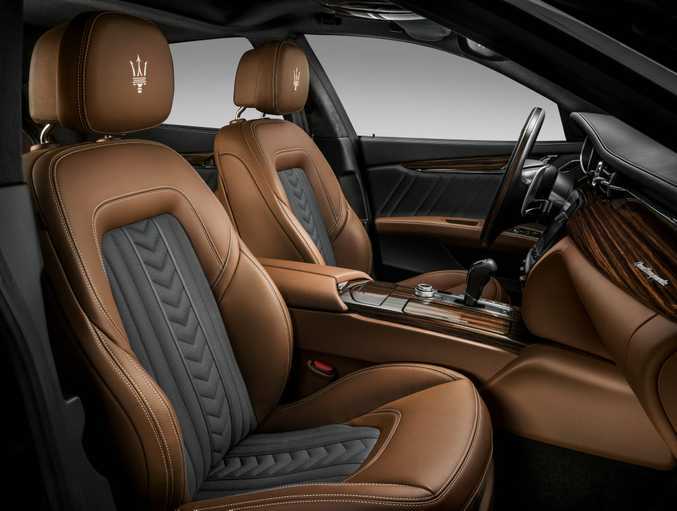 Luxury-focused GranLussos score Ermenegildo Zegna Edition (sounds expensive) interior featuring silk fabric on the seats, doors, headliners and sun visors. There's "open pore Radica" wood for the dashboard (probably wouldn't work on your Corolla), four-zone air conditioning, heated rear seats and a Bowers and Wilkins sounds system in the GTS cars. Go the GranSport trim and you get a more aggressive bumper and air intakes, piano black spoiler, 21-inch rims, electric Sports seats, steering wheel in full leather or carbon fibre and aluminium gearbox paddles. Engines remain the same for 2017 Quattroportes, but there's a 15kW boost for the entry-level 3.0-litre V6 petrol to give it 257kW, a 0-100kmh time of 5.5s and fuel economy at 9.1L/100km. 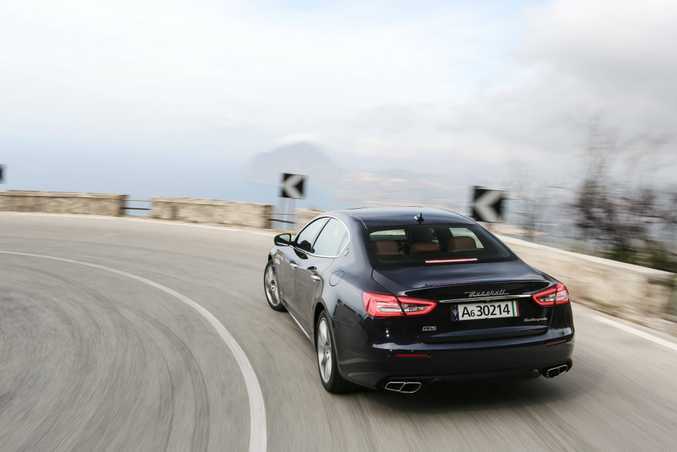 The Quattroporte S uses the same engine but tuned to 302kW to hit 100kmh in 5.1s and return 9.6L/100km. The mad dog GTS offers 390kW to do 0-100kmh in 4.7s while returning 10.7L/100km. 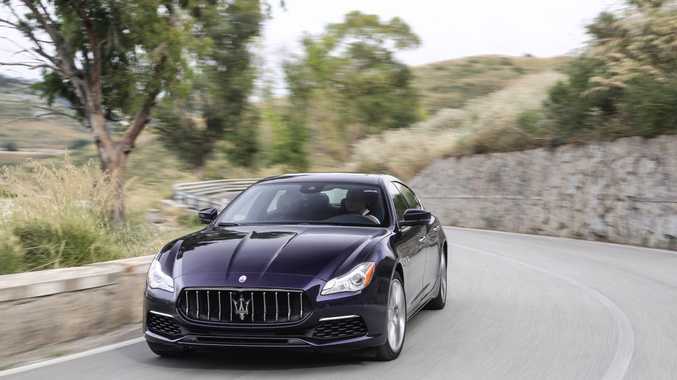 If economy's more your thing go the Quattroporte diesel to give 6.2L/100km and you'll still reach 100kmh in 6.4 seconds. The new Quattroportes are on sale now, with deliveries starting at the end of the year.